Kids will love this trick, give them healthy Halloween treats! Popular retailers have been displaying Halloween candy earlier and earlier each year, tempting us with candy corn and chocolaty treats before we’re prepared. This trend is no surprise as around 600 million pounds of candy are sold in the U.S for Halloween each year. It’s okay to treat yourself on special occasions but with growing dietary and allergy restrictions, finding sweet treats that fit the bill is becoming increasingly difficult. Many kids can’t eat the sugary candies that aren’t free of allergies and/or contain animal products, so trick-or-treating is only half the fun. You could opt for granola bars, applesauce or trail mix but they typically aren’t allergy-friendly and still contain artificial sugar and ingredients. 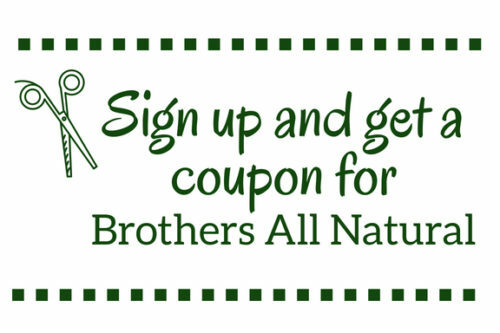 Brothers All Natural provides Disney packaged, junior sized 1/3 cup snack packs perfect for a healthy Halloween Treat. Our Fruit Crisps are dairy-free, peanut-free, vegan, kosher, sugar-free, & non-gmo. The great part about freeze dried fruit is that the different texture makes eating it fun and is a new snack for most kids (adults too). You can “trick” kids into eating fruit since freeze dried fruit has a crispy, melt-in-your-mouth texture similar to the marshmallows in Lucky Charms. Kids will be pleasantly surprised by the sweetness and how it’s different than fresh fruit. The great news is freeze dried fruit retains the nutrients of the original fruit and is only 100% fruit, no added sugar or preservatives. Don’t want to stop handing out traditional Halloween candy? We get that you don’t want to become the uncool parent or neighbor who hands out apples on Halloween. We recommend having two options for trick-or-treaters. Have one bowl with typical candy and have another allergy-friendly/vegan/kosher/sugar-free bowl for those who can’t enjoy any and all candy. 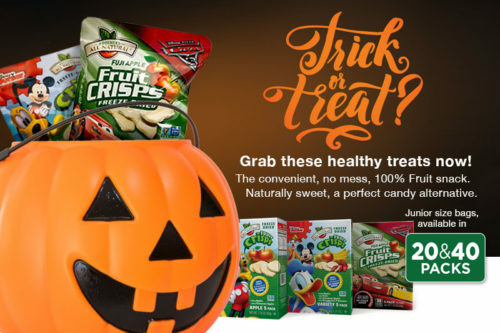 Halloween is a great time to introduce freeze dried fruit since it’s in small packs that have Disney’s Mickey Mouse Clubhouse characters on them. The scary part is, you and your kids may find yourself buying this treat after Halloween is over! How Much Candy Is Sold on Halloween? Halloween is the top candy-selling holiday in the United States, well above Valentine’s Day, when 48 million pounds of candy is sold, and Easter, which has 65 million pounds sold. Ten percent of the candy industry’s total annual sales occur just before Halloween. Food Allergies? Know the signs!